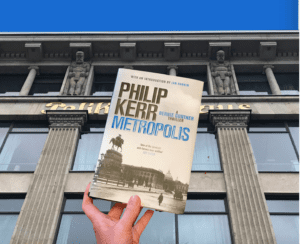 Metropolis is the thirteenth (and last) of the Bernie Gunther books written by Philip Kerr. It was completed just before he died in March 2018. It does, though, take the series back to its very beginning. In Metropolis we see Bernie at the very start of his career – as a rookie detective in Berlin. An excellent, and sadly final, addition to the Bernie Gunther series.